QLS-350S Pet Jerky Machine is equipment for producing jerky treats and meat jerky, suitable for pet food without casing directly baked meat and meat products, widely used in pet food article beef, article chicken, beef rod, chicken rod production and processing. 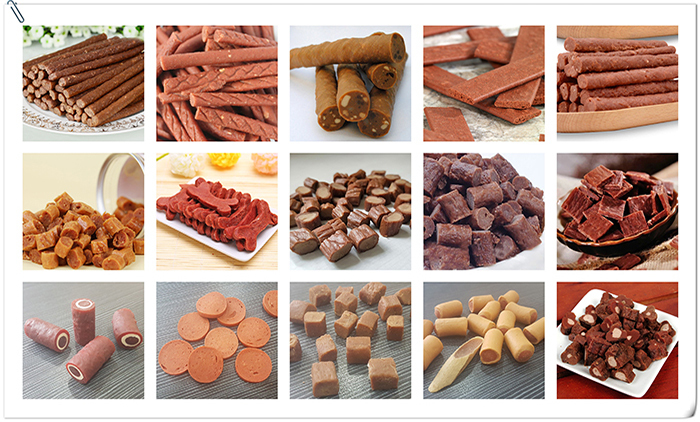 Pet Jerky Machine is equipment for producing jerky treats and meat jerky, suitable for pet food without casing directly baked meat and meat products, widely used in pet food article beef, article chicken, beef rod, chicken rod production and processing. 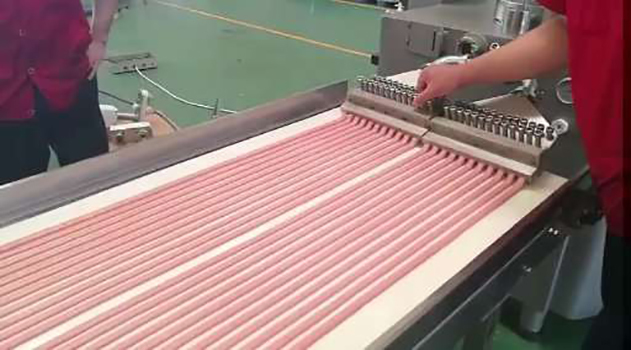 The characteristics of jerky treats machine is discharging speed, output evenly, can infuse bowel flesh lump, can also be used to fill the bowel, flexible, convenient and free loading, high efficiency, continuous production capacity, and cleaning convenient, suitable for various types of production enterprises. 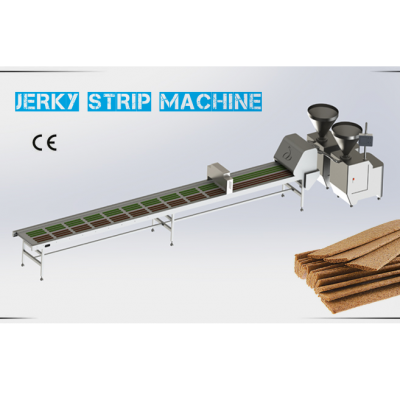 Jerky Strip Machine is made from high quality 304 stainless steel, corrosion resistance, with high quality in intensity, reliable and durable, convenient cleaning, adopt gear two-way extrusion type structure, with high pressure, rotation smoothly. 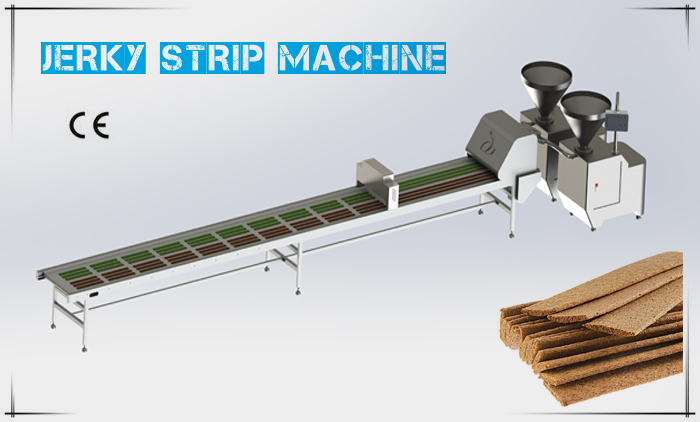 Turkey Jerky Machineadopts step-less speed control, more suitable for your job requirements. Additional materials pushing device, particularly applicable to input materials. 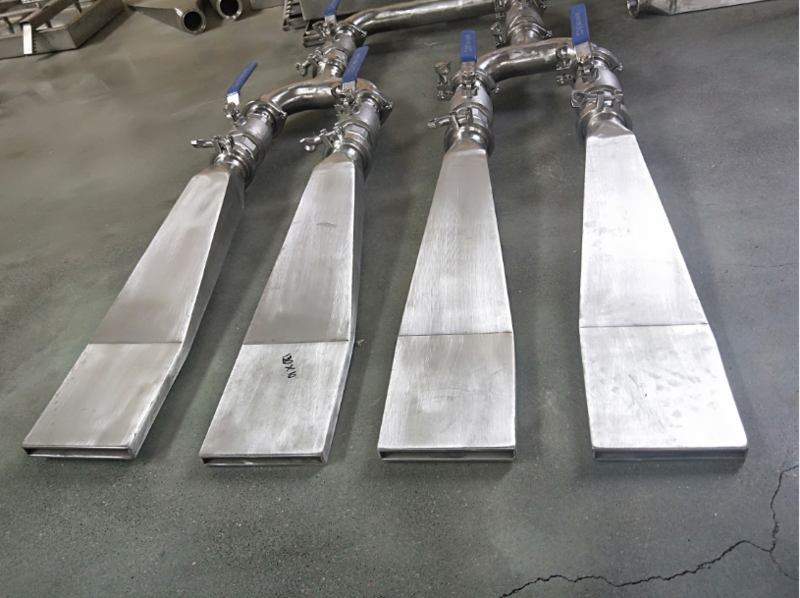 It is necessary equipment for pet food zero article bare rods meat processing line. 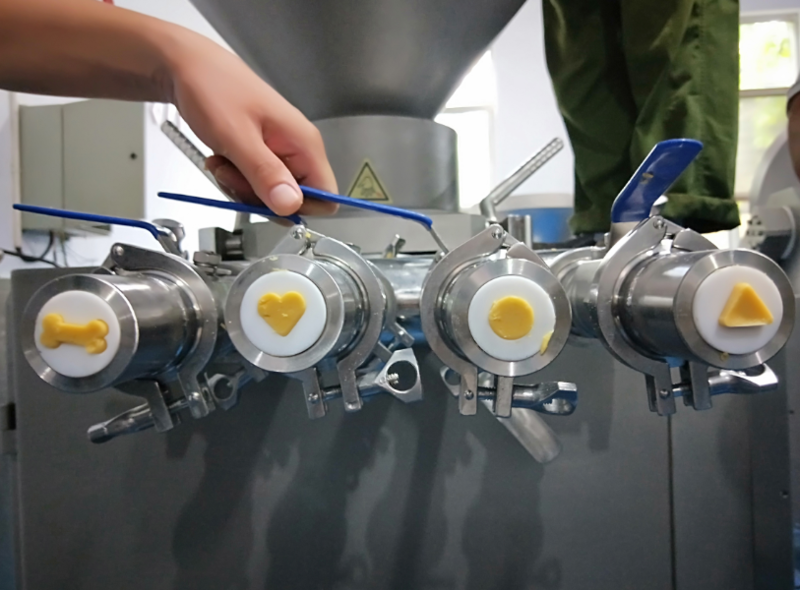 While changing different molds, meat strip’s size and shape can be changed, such as round, square, triangle, heart etc. The output speed of Pet Munchy Machine can be adjustable to meet different shape and materials.